Cracking the cover on a Sophie Hannah book is like diving into a jigsaw puzzle without the benefit of a photograph showing the desired final image. Every one of her novels has been original, addictive, and above all, unpredictable. 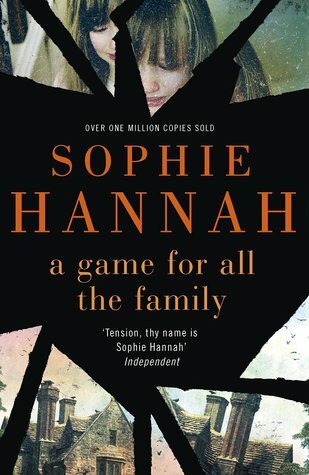 Sophie Hannah’s latest novel, A Game for All the Family, is a stand-alone suspense tale with a premise so intriguing that the entire book practically begs to be devoured in one sitting. At the start of A Game for All the Family, Justine Merrison is in the process of relocating to Devon, England with her husband and teenage daughter after an undisclosed career meltdown. Arriving at Speedwell House, they are all nervous about what the future holds. Four months later, just as things seem to be hitting their stride, Justine begins to receive threatening phone calls. Trying to bush it off as a case of mistaken identity, Justine decides to keep this to herself. But when she happens upon her daughter Ellen’s homework assignment, her bafflement continues. Ellen was instructed to write a story for her English class, but Justine is shocked to discover that Ellen’s story involves a strange family, several murders, and happens to use their new home as its setting. Why would her daughter write such a tale? Justine and Alex’s concern escalates when Ellen continues to withdraw into herself. After talking to her, Justine discovers that Ellen is saddened by the school expulsion of her new best friend, George – a result of actions which Ellen feels she caused. At her wit’s end, Justine decides to go to the school to straighten things out only to discover the George Donbavand doesn’t exist. And with that, A Game for All the Family is off and running. As readers discover bit by bit what is happening in the present-day Merrison household, the chapters alternate with extracts from the narrative Ellen is writing for her school project. Since this is a Sophie Hannah novel, it will come as no surprise that the intersecting of these two stories is much more complex than first suspected. The psychology of her characters is something that Sophie Hannah always gets right. 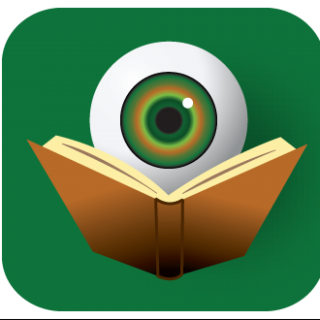 Readers may feel that her plots strain credibility at times, but quick research into the motivations of her characters will reveal that all these weird mind games, psychoses, and abnormal delusions truly exist – regardless of their rarity. Sophie Hannah has always said that she is interested in exploring not what is likely to happen in most cases, but what could happen in an extreme case. At its core, this novel is about the bonds of family. To remain spoiler-free, it is impossible to talk about this in any further detail except to say the interweaving of real families, fiction families, and fantasy families highlight the dynamics of loyalty that come into play when a family member is put at risk. There is an inherent trust that comes with the concept of family and Sophie Hannah juxtaposes that with the skepticism felt towards strangers. We live in a world where we know too much about people, but we know that any of this can be fabricated. By knowing everything, do we really know nothing? As with all of Sophie Hannah’s books, A Game for All the Family is not a leisurely read. The complexity of plot and the vast number of characters requires a commitment from the reader; but with great effort comes great reward. A Game for All the Family fits very nicely in Sophie Hannah’s oeuvre of domestic suspense tales, so fans of that type of novel will find many virtues to extol in this new non-series novel.